Smartphone users click on the "Blue Circle" for more menu options. 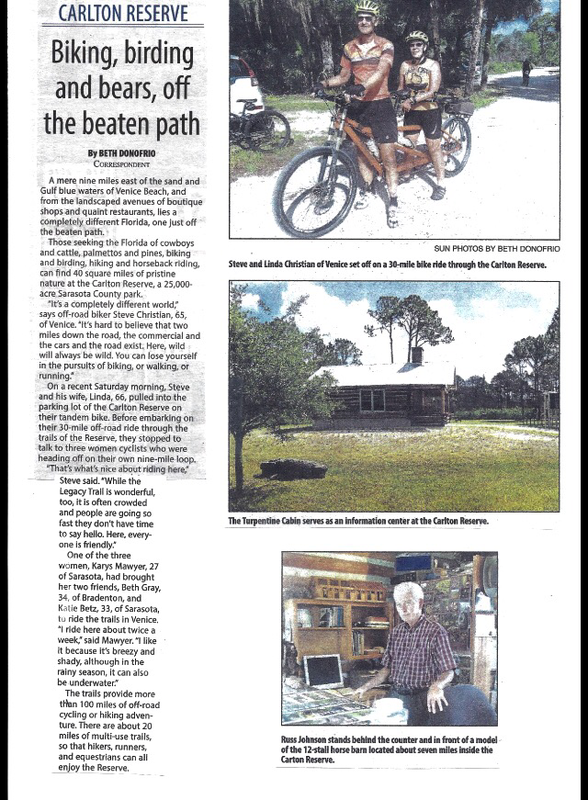 SCORR is South Sarasota County's off-road bike club. 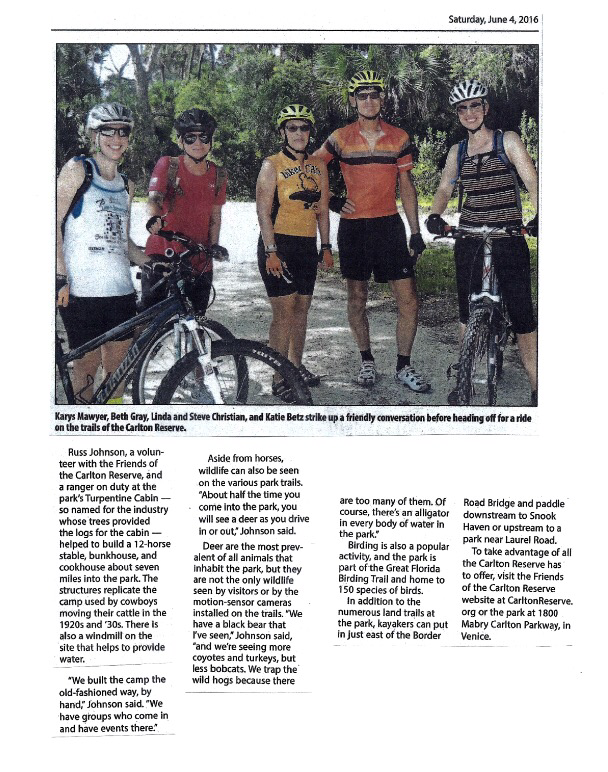 SCORR coordinates with local land managers to develop and improve off-road riding in Venice, Englewood and North Port. 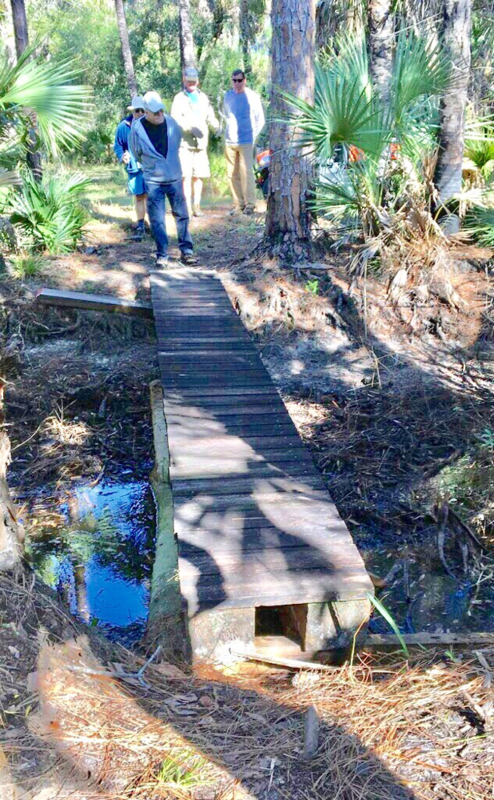 SCORR has constructed 20 miles of singletrack trails on Sarasota County and Florida environmental lands. No membership fees are required. To become a member and to find out about periodic SCORR rides, simply like SCORR Riders on their Facebook page. Click this button for a link to the SCORR website. Come out and discover the 13 mile long Boldlygo Loop trail at the Carlton Reserve. 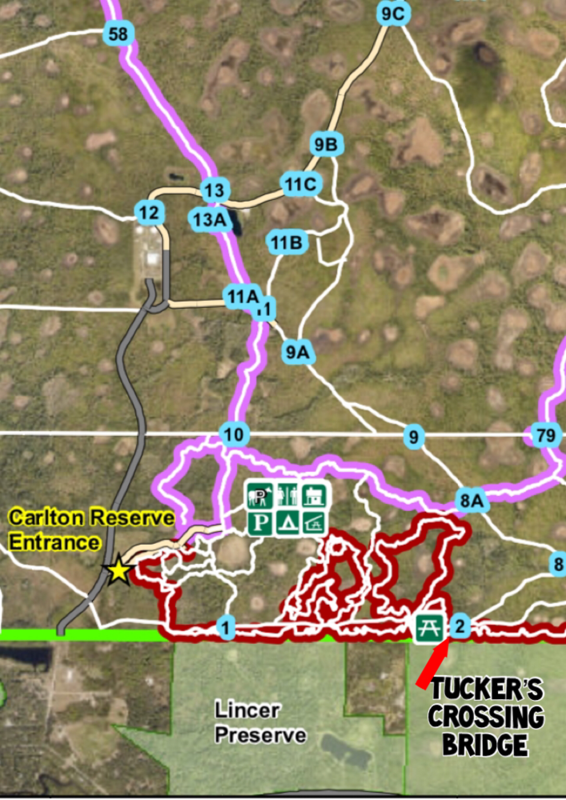 It is now possible to get to Gravel Border Road via the new Tucker’s Crossing Bridge near the “First Picnic Table” on Boldlygo. The “First Picnic Table” is located on Boldlygo after Area 51 and the Ridonculus Loop.